Presentation: Left ear canal swollen with yellow discharge. Treatment Details: 307.5 total Joules administered to superficial component and 690 total Joules delivered to deep component at 3.5W; Frequency of two treatments, two consecutive days. Appropriate topical therapy was used as well. 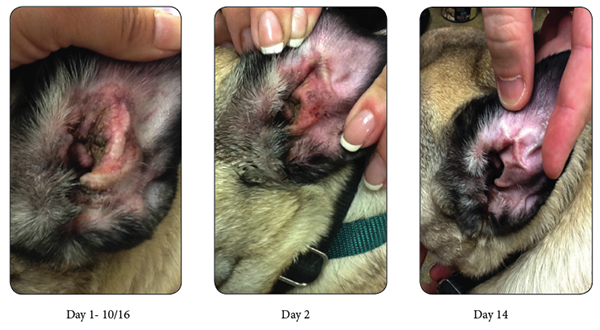 Treatment Results: Otitis resolved with ear much less swollen and pruitic after treatment.